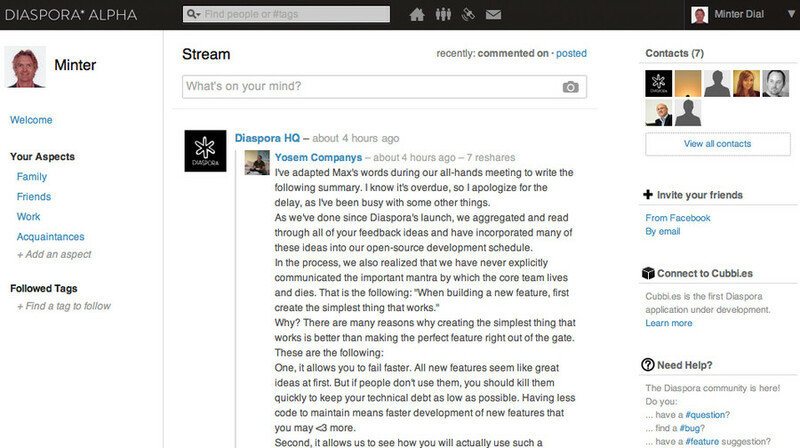 Diaspora is a nonprofit, user-owned, distributed social network that is based upon the free Diaspora software. 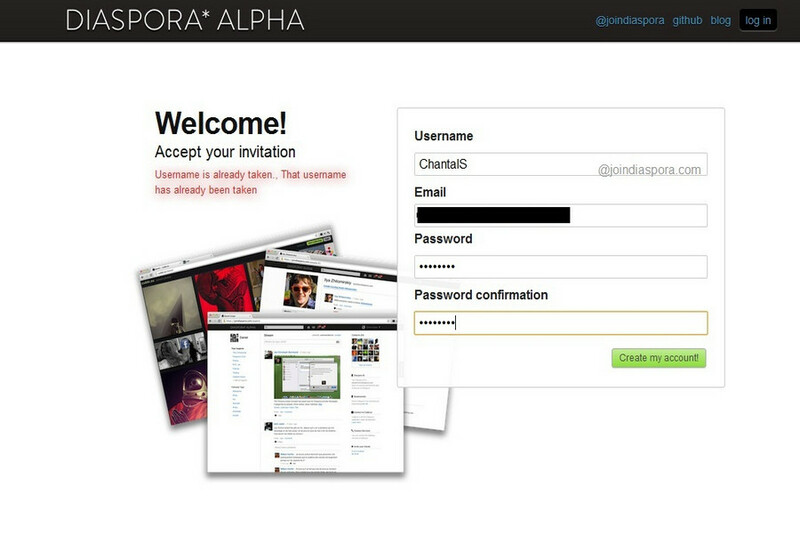 Diaspora consists of a group of independently owned nodes (called pods) which interoperate to form the system. As of March 2014, there are more than 1 million Diaspora accounts. 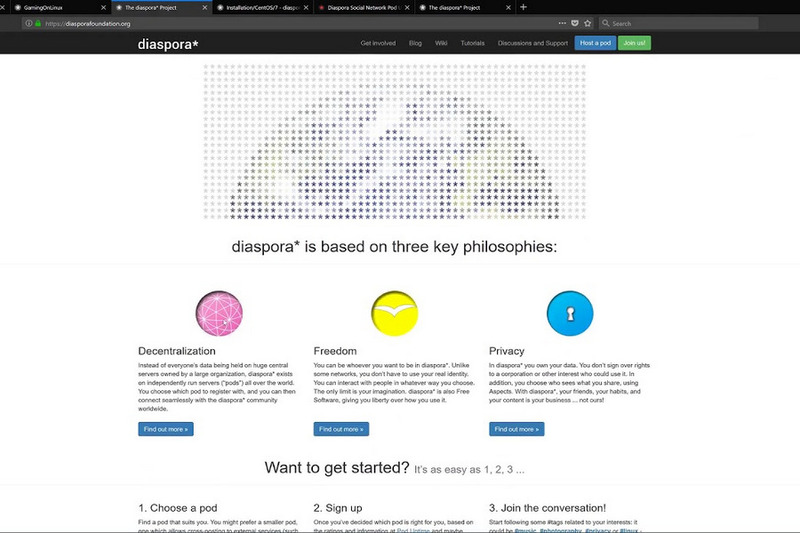 Diaspora software is licensed with GNU-AGPL-3.0. 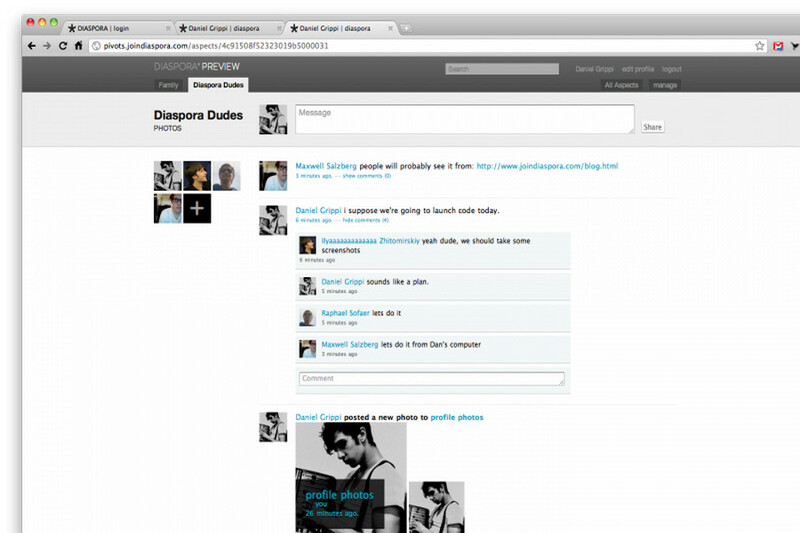 Diaspora software development is managed by the Diaspora Foundation, which is part of the Free Software Support Network. The FSSN is in turn run by Eben Moglen and the Software Freedom Law Center. The FSSN acts as an umbrella organization to Diaspora development and manages Diaspora’s branding, finances, and legal assets. 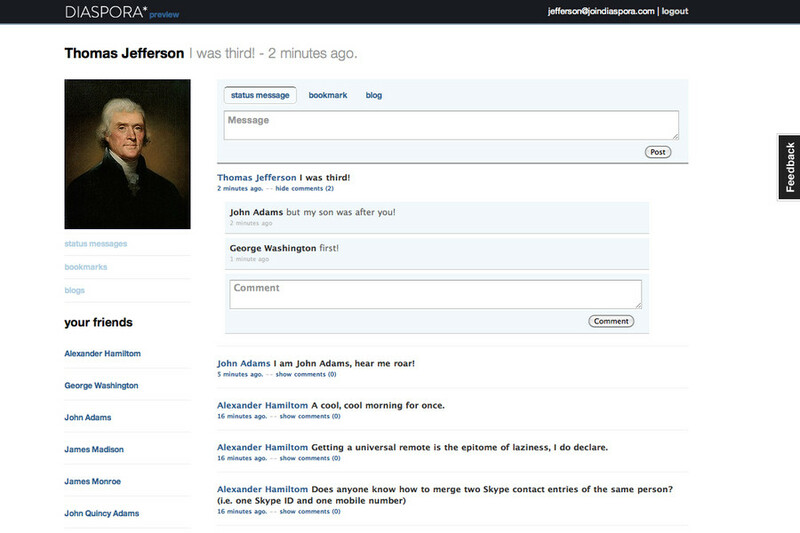 It is based on Ruby and Ruby on rails.